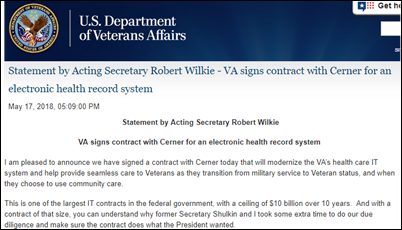 Wilkie adds that VA “will add capabilities as necessary to meet the special needs of veterans, VA clinicians, and our community care partners” and will collaborate with the DoD to share lessons learned. The total project cost has been estimated at $16 billion. Cerner will serve as its own prime contractor. From Pilsner: “Re: Epic. Heard they have acquired a small revenue cycle form to jump start a outsourced services offering.” Not true, according to a company contact that I was kind of embarrassed to ask given the near-certainty that this didn’t actually happen. Which it didn’t — Epic has never acquired another company and I don’t expect that to change. I have zero responses to this week’s “Wish I’d Known” question, so it will be a skip week unless folks weigh in over the next day or two. Here’s the recording of this week’s webinar titled “You Think You Might Want to Be a Consultant?” with Frank Poggio. The search for a CEO for the proposed joint healthcare venture of Amazon, Berkshire Hathway, and JPMorgan (or as Gizmodo likes to call it, the incredibly vague healthcare company of rich guys) stalls as the companies change their recruiting tactics to focus on someone with entrepreneurial experience. 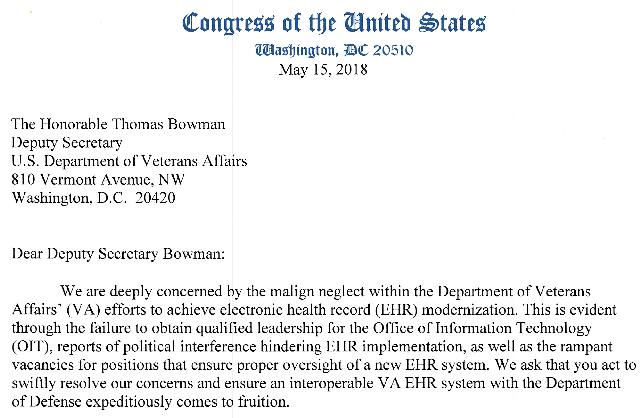 Payer and policy experts like Todd Park, Andy Slavitt, and Gary Loveman were on the initial wish list, as was entrepreneur and Grand Rounds Health CEO Owen Tripp, who has downplayed any interest in the position. Dennis Cail (Trintech) joins Nordic as VP of ERP solutions. Faith Regional Health Services (NE) will implement Epic over the next 18 months through a purchasing arrangement with Nebraska Medicine. Crisp Regional Health (GA) will deploy Cerner Millenium across its ambulatory, acute, and post-acute facilities. Arkansas Surgical Hospital (AR) chooses perioperative software from Picis Clinical Solutions. 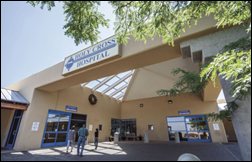 Holy Cross Hospital (NM) implements Wellsoft’s EDIS. 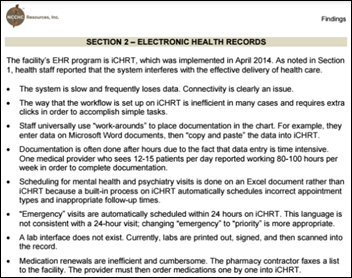 An assessment of Delaware-based Vaughn Correctional Center’s healthcare services produces a long list of EHR-related problems, including poor connectivity, inefficient workflows, and numerous workarounds. One healthcare employee, who typically sees between 12 and 15 patients a day, reported spending 80 to 100 hours each week on documentation. Vaughn prisoners, who have complained of inordinately long appointment wait times, led a violent uprising last year that resulted in the death of a correctional officer. FDA says data vendor IQvia has for years provided it with incorrect national opioid dispensing data, as calculation errors “raise serious concerns about systemic issues with IQvia’s data and quality control procedures.” The agency is demanding a third-party audit of the company’s procedures. 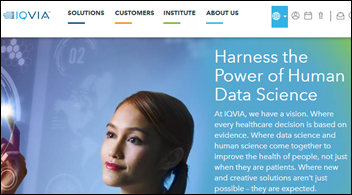 IQvia was known as QuintilesIMS until a November 2017 name change. Shares of the Durham, NC-based research company trade on the NYSE at a market cap of $20 billion. In Houston, the University of Texas Health Science Center alerts patients that an email sent last week announcing the departure of a physician at its Davis Clinic mistakenly exposed 2,800 patient email addresses. 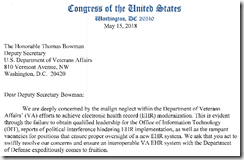 LifeBridge Health (MD) notifies patients of a September 2016 malware attack on the server that hosts its registration and billing systems, and the EHR used by its Potomac Professionals group. The health system, which detected the breach on March 18, has since enhanced password protocols and its cybersecurity system. CIO Tressa Springmann says the breach was the work of an external entity and that the organization is on a communications offensive in an effort to be transparent about the incident. 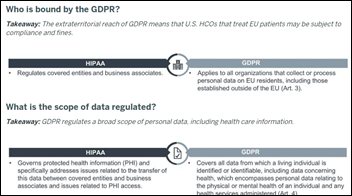 The EU’s General Data Protecting Regulation goes into effect next Friday, making it a good time to review earlier guidance from Advisory Board that compares it to HIPAA. My interpretation is different from theirs – they say it applies to a US provider delivering care to anyone hailing from a EU country, while I read it as being only for patients who are physically in an EU country at the time services are rendered (telemedicine, website use, and marketing sign-ups are the only use cases I can think of). 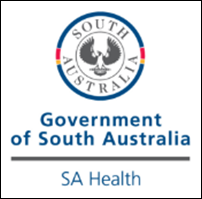 In Australia, SA Health brings in 30 staffers to help clear a data entry pileup brought on by burdensome data entry requirements of the $37 million Cerner enterprise pathology laboratory information system it implemented last year. The backlog has caused delays in getting test results to patients, and in some cases, lost results. SA Health is in the midst of a 10-year, $471 million Allscripts EPAS roll out, which has also been plagued with problems and political hand-wringing. 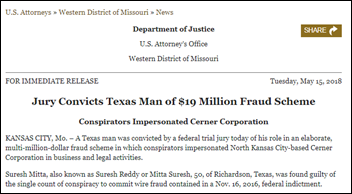 A federal jury convicts Suresh Mitta and several co-conspirators for their roles in Cerner impersonation schemes that included selling a fake MRI machine to Dallas Medical Center for $1 million. Mitta even sued an international tech company under the guise of Cerner LLC, ultimately winning $24 million. UPDATE: Suresh Mitta died in the custody of US Marshals hours after his conviction, with law enforcement officials saying it appears he had a seizure in the cell he shared with other prisoners. 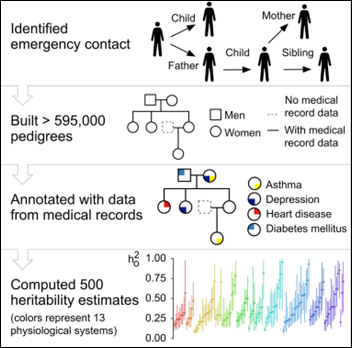 Columbia University Medical Center raises the ire of some ethicists by creating a family tree from inpatient EHR data – including each patient’s emergency contact along with more obvious connections such as mother-child status – to study inherited conditions. “It’s a way of looking at genetics but without having any genetic data,” one author said of the assumption that emergency contacts are often blood relatives. Bioethicists object that those emergency contacts did not give their consent (one compared the study to Cambridge Analytica) and observe the irony in finding “information to help your health, but we’re not going to give you that information.” Columbia is sharing its 2-million de-identified patient record database and its algorithms for detecting family relationships for similar studies. The authors say they can now say as a result that runny noses are inherited, although they admit that they can’t discern shared environmental issues or the possibility that the EHR does not list all conditions. 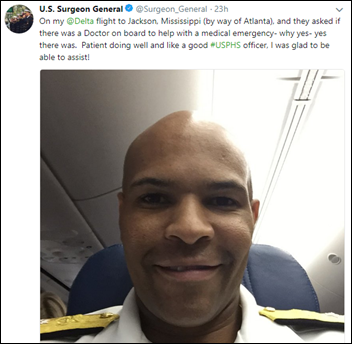 Anesthesiologist and Surgeon General Jerome Adams, MD comes to the aid of a Delta passenger who had lost, then regained consciousness before takeoff. Adams, with help from two nurses, saw that the passenger was taken back to the gate and on to a hospital. The Lightbeam Health Solutions team packs 5,625 meals for distribution by the North Texas Food Bank. Diameter Health becomes a Group Solution Partner of the Strategic Health Information Exchange Collaborative. PokitDok adds its real-time health insurance eligibility app to the Salesforce AppExchange. Learn on Demand Systems becomes the official lab provider or the Veeam Certified Engineer technical certification program. Medicomp Systems will host Medicomp U May 21-24 in Reston, VA.
National Decision Support Co. will exhibit at the NPSF Annual Patient Safety Conference May 23-25 in Boston. Netsmart will exhibit at the LeadingAge TX Annual Conference May 22 in San Antonio. Optimum Healthcare IT will sponsor and present sessions at Health IT Expo May 30-June 1 in New Orleans. Hewlett Packard Enterprise names CloudWave and its customer, Upson Regional Medical Center, the Grand Prize Winner of its 2018 Awards for Customer Excellence. Clinical Computer Systems, developer of the Obix Perinatal Data System, will exhibit at the E-Health Conference & Tradeshow May 27-30 in Vancouver. Platinum System adds Solutionreach’s patient relationship management capabilities to its practice management and EHR software for chiropractors. Healthwise partners with XG Health Solutions to deliver evidence-based assessment and care plan content to payers via Epic’s Healthy Planet software. Vecna adds Imprivata’s biometric palm vein scanning technology to its patient check-in platform. In the UAE, Healthpoint implements GetWellNetwork’s interactive patient care system.